Poll: Poll: What do you think about this card? Join the discussion on our forums! 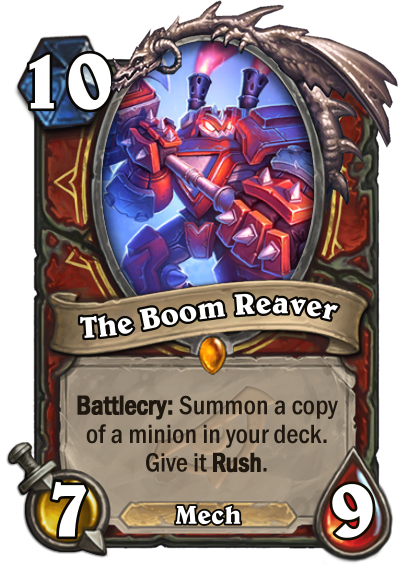 Come discuss The Boom Reaver over in our dedicated The Boom Reaver discussion topic. It looks like a fair, solid card. As Dr.Boom you get 2 rush minions. It's also a copy of a minion, so no deck thinning. why is that zaku painted red?? I just like how it looks. I wish it had more synergy with the bombs.